K.O. Dahl: Because i love mysteries, it is like coffee in the morning. K.O. Dahl: I am afraid not – exept some on TV. But they doesn't count do they? K.O. Dahl: Of course they can. K.O. Dahl: In my opinion there are good books and there are bad books. Most authors write some good books and a lot of crap, which means that most authors is overrated, I guess. K.O. Dahl: Lets stay on to the books. K.O. Dahl: Yes. The good books. K.O. Dahl: Knife, dagger, bajonett (and strangulation on a good 2nd, place). But I think I have more knifekillings than strangulatrions in my books. K.O. 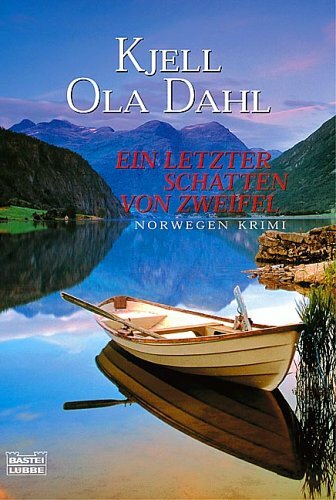 Dahl: Then I have seen, if I can remember, some good crime stories without a murder beeing committed. I remember Sherlock Holmes was upset about some stolen jewelry once – but when looking back on my own crimestories, the answer is yes. K.O. Dahl: I don't know. I still hope to find out by continuing to write. K.O. Dahl: They are contemporary, yes. K.O. Dahl: The setting is usualy defined by the idea of the story. K.O. Dahl: After survival, it is a cultural thing. K.O. Dahl: There are good books and bad books. The quality is not defined by sexscenes. K.O. Dahl: I don't think so. But beeing a man, I am not the right person to ask. K.O. Dahl: I have no specific person in mind, no. K.O. Dahl: I work a lot with that. But the characters come first. And in one moment of the process they becomes equal – the plot and the characters involved. K.O. Dahl: I am writing a diary (in where I write down notes and ideas – never about what is happening in my life. It is very useful in my work.). The ideas are everywhere, they have to be looked up. And beeing a crime writer, I constantly look up ideas. K.O. Dahl: I have an office in my house. K.O. Dahl: I write on a mac. It is my third, the first one bought in 1988 – and the computer is very important for my work. K.O. Dahl: Was it Robin Hood? or Tom Sawyer? or Huck Finn? or was it the Three Musquteers or ... I had a lot of favourites, I am never able to pick number one. K.O. Dahl: The one I am reading at the moment. K.O. 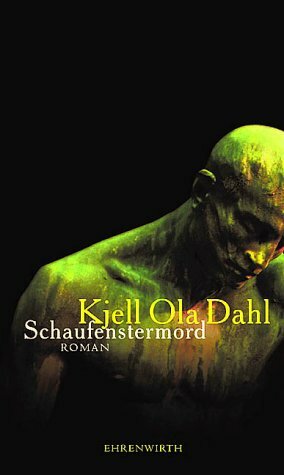 Dahl: Was it Chandler or Hammett or J.M. Cain or Jim Thompson – ... it is always like that. I have a lot of favourites in many respects – but there is never a clear number one. K.O. 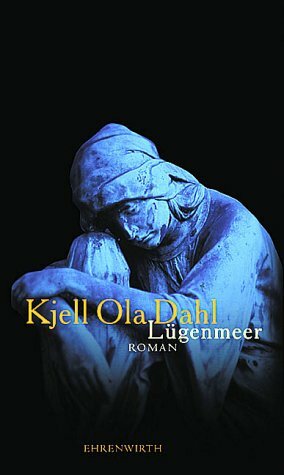 Dahl: May be "The Third Man" or "Lost Highway" or "Dead Reckoning" or "Double Indemnity" or "The Getaway" or "The Usual Suspects" or "The Big Heat" or ... I am a film freak and on my website i have a project going: Sort out the 100 best movies – in my opinion. They include a gap of time from Fritz Lang's "M" and Wellman's "Public Enemy" up to Fincher's "The Game" and Lynch's "Mulholland Drive". K.O. Dahl: The one I visited last. K.O. Dahl: The lazy days after finishing a book. PK.O. Dahl: The polarity thing is not for me. K.O. Dahl: Writing. And I do not know exactly why. You have to ask my teachers. But I remember a lot of remarks because of my ugly un-readable left-handed writing with ink smeared all over the pages. K.O. Dahl: Beeing a writer. K.O. Dahl: I guess it is because I love mysteries – and the solution that comes to light in the end. Geboren am 4. Februar 1958 in Gjøvik / Norwegen. Nach dem Studium arbeitete er als Lehrer. Im Jahr 2000 gab er diesen Beruf auf, um sich ganz dem Schreiben zu widmen. Kjell Ola Dahl lebt mit seiner Frau und seinen Kinder im ländlichen Feiring, der nahe dem größten See Norwegens, Mjøsa, liegt. Dort findet Kjell Ola Dahl Entspannung bei der Arbeit auf den Feldern und im Forst, aber auch in der Wartung des bäuerlichen Fuhrparkes. 1993 debütierte der Autor mit "Dødens investeringer" (Tödliche Investitionen, 1996 bei Goldmann). 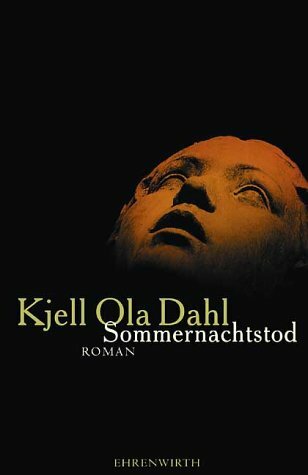 Für seinen im Jahr 2000 erschienenen Kriminalroman "En liten gyllen ring" (Sommernachtstod, 2002 bei Ehrenwirth) erhielt er im selben Jahr Skandinaviens begehrtesten Krimipreis, den "Riverton Award".